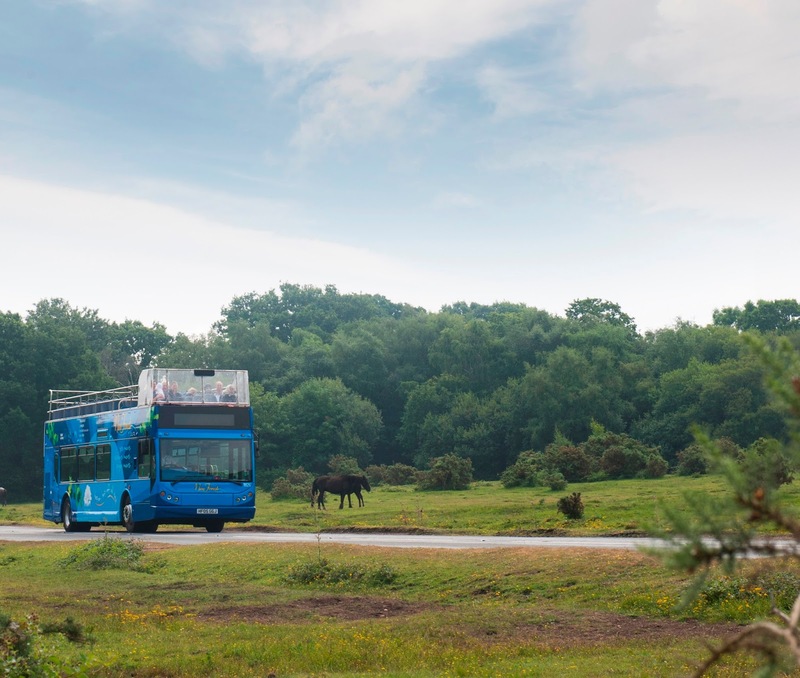 The New Forest Open Top Tour Buses returns this weekend (27 June) – aiming to beat last year’s record passenger numbers. Nearly 42,000 passengers hopped on the open-top’s three scenic routes last summer, enjoying views of the National Park’s unique landscapes, wandering ponies and picturesque villages. Run by Go South Coast in partnership with the New Forest National Park Authority, the Tour also offers new audio commentary, as well discounts at attractions such as the National Motor Museum at Beaulieu, Exbury Gardens and New Forest Wildlife Park. The New Forest Tour is a key part of the Authority’s aim to encourage more people to leave their cars at home, and is supported in part by the Department for Transport’s Local Sustainable Transport Fund. Last year the Tour saved around 226,000 private car miles. It also provides a boost to local businesses, contributing an estimated £680,000 to the New Forest economy whilst stopping at local villages and attractions. The New Forest Tour runs from June 27 to 13 September.